You might have heard Alzheimer’s disease described as “Type 3 Diabetes,” implying that it’s another “disease of civilization,” a consequence of the modern diet and lifestyle more than anything else. The “Diabetes” label in particular makes it seem like Alzheimer’s is all about the carbs. But it’s actually more complicated than that (isn’t it always?). Alzheimer’s Disease probably does have something to do with dietary carbs, but it’s much more complicated than “insulin wrecks your brain.” And it also has connections to other parts of the modern diet, especially overload of Omega-6 fats. So here’s a look at Alzheimer’s from a Paleo perspective, focusing on the potential role of diet in long-term prevention and therapy. Alzheimer’s Disease is a progressive, age-related brain disease that starts off by causing forgetfulness and confusion and progresses to more serious problems like mood, language, and behavioral issues. A few people get it earlier, but it’s primarily found in people in their 60s and up. Alzheimer’s isn’t just an extension of normal age-related forgetfulness, though. In Alzheimer’s Disease, neurons in the brain actually die – this doesn’t happen in normal aging, even though most people’s brains do shrink a little bit with age. As populations in most Western countries get older, Alzheimer’s is becoming an increasingly important health concern, especially because it’s connected to some other rapidly-growing “epidemics:” obesity and diabetes. The association with other notorious “lifestyle diseases” implies that Alzheimer ’s Disease might share some of the same dietary and lifestyle roots. The biggest diet-related risk factor that everyone in the Paleo world likes to point out for Alzheimer’s is diabetes. People with diabetes are much more likely to develop Alzheimer’s than the general population, and it’s likely that this is a consequence of the diabetes itself (not just an association). Diabetes is primarily a disease of glucose (carbohydrate) metabolism, and there’s strong evidence that impaired glucose metabolism in the brain plays a role in the development of Alzheimer’s by depriving cells of energy. If your brain cells are dependent on carbs for energy, but your ability to metabolize carbs is compromised, your brain cells aren’t going to do very well. What’s more, some initial research suggests that ketogenic diets (which provide the brain with fat instead of glucose as fuel) may be helpful as a therapy. Sleep apnea (a sleep disorder where the patient wakes up many times during the night; it reduces the benefits of sleeping and deprives the brain of oxygen). Sleep apnea reduces insulin sensitivity and increases the risk of metabolic disorders like diabetes, so it might contribute to Alzheimer’s by messing up glucose metabolism even more. Physical inactivity. Regular movement makes for good glucose tolerance; a sedentary lifestyle is one big step towards the opposite, so it’s not surprising that it’s a major risk factor for both diabetes and Alzheimer’s. Depression. Insulin metabolism problems may contribute to depression, so depression may be one sign of a less-than-optimal insulin metabolism. Obesity. Obesity and diabetes often go hand in hand – they’re both associated with problems metabolizing carbohydrates. Smoking. Smoking impairs insulin sensitivity, and quitting improves it. In other words, a lot of the risk factors for Alzheimer’s tie into insulin and glucose metabolism one way or another. The connection with diabetes, plus the tentative research showing a benefit for ketogenic diets, leads a lot of people to conclude that carbs “cause Alzheimer’s” and that a ketogenic diet is the only way to prevent it. But as usual, the simplification doesn’t hold up under closer scrutiny. “Carbs” as a group means nothing unless you separate “carbohydrate overload in the context of an inflammatory and obesogenic diet full of gut irritants” from “carbohydrates from whole foods in the context of an anti-inflammatory diet low in gut irritants.” The first is associated with Alzheimer’s; the second is not. 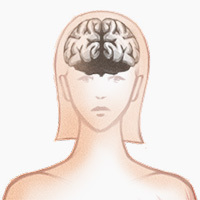 An inflammatory, obesogenic diet that also happens to be high in carbs may contribute to Alzheimer’s (among other problems), and that a lower-carb diet may be helpful as a treatment, but that doesn’t mean that whole-food carbs in an anti-inflammatory context are dangerous. But wait a minute, where’s all the talk about inflammation coming from? If you want an inflammatory diet high in Omega-6 oils and simple carbs, this is the way to eat. If you look at all the risk factors above again, you’ll notice another big problem in common: inflammation. All the risk factors for Alzheimer’s Disease are inflammatory, and neurodegenerative diseases, including Alzheimer’s, are marked by inflammation in the brain. Psychiatrist Emily Deans explains that the particular type of inflammation in Alzheimer’s is related to an imbalance of Omega-6 and Omega-3 fats – fat quality as much as carbs might be a factor here. When you combine an overload of simple carbohydrates with an inflammatory fatty acid profile, what do you get? 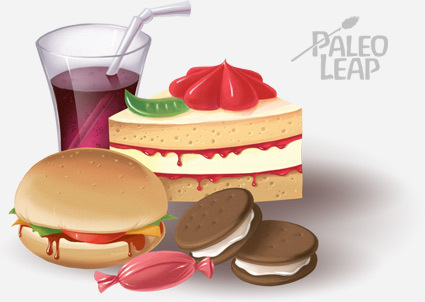 A typical Western diet high in refined grains and industrial seed oils. It’s not evidence that eating these foods “causes Alzheimer’s” in the same way that streptococcus bacteria cause strep throat, but it’s evidence that a typical Western dietary pattern might be one small factor in the development of Alzheimer’s. And it might point to a diet low in simple carbohydrates with an anti-inflammatory fatty acid profile as a potential way to minimize whatever percentage of Alzheimer’s risk is caused by diet in the first place. Guess what kind of diet is anti-inflammatory and low in simple carbohydrates? Diet doesn’t “cause” Alzheimer’s Disease. But it does seem that an overall dietary pattern high in both simple carbohydrates and junk fats might contribute to it by depriving the brain of energy and increasing the inflammatory response. The evidence for this comes partly from research studying the death of neurons and the formation of plaques and tangles in the brain, and partly from epidemiological research connecting inflammatory and insulin-related diseases to an increased likelihood of developing Alzheimer’s later in life. The evidence that we have suggests that an anti-inflammatory diet (low in total PUFA and especially Omega-6, with adequate amounts of Omega-3) with relatively few refined carbohydrates might be protective against Alzheimer’s insofar as diet can be protective against Alzheimer’s at all (remember that a huge part of it is genetic). Research into ketogenic diets for people who already have cognitive impairment is promising, but it’s always good to be cautious interpreting it and remember that the more complicated the problem, the less likely it is to have one simple solution.